We’re continuing our salute to trees this month. If you are a fan of Douglas Florian, then you probably know he has a new book of poetry, aptly named Poetrees. They’re grown to educate and please. Plus more you’ll love tree-mendously! I love that Florian chose trees from around the world like the banyan, not just common North American ones. 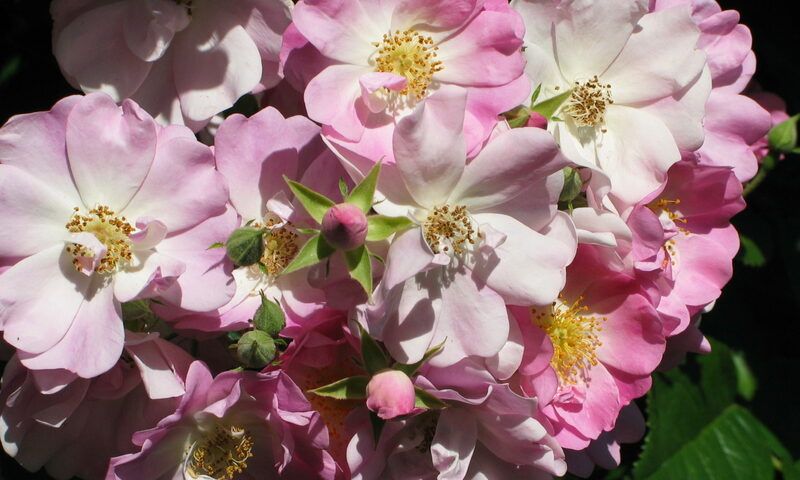 He also uses and explains many common botanical terms “to educate.” As usual there is an element of gentle humor, both visual details and the word play of the poems. The layout of this book shows how much thought went into its design. The entire book consists of vertical, two-page spreads, giving the feel of looking at a tall tree. If you are familiar with Florian’s illustrations, you will recognize his unconventional art. 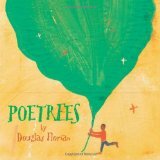 Given the spare words and whimsical illustrations, Poetrees has sometimes been mislabeled as a picture book for very young children. For example, I found this book in the children’s section at my local library (we have a juvenile section for older children), and Amazon says a reading level ages 4-8. This is too bad, because most very young readers will probably not be ready to enjoy this book. Booklist suggests grades 3-6, which I think is much closer to the mark. Older children and adults will appreciate it more thoroughly. Poetrees definitely deserves an appropriate audience. It is a fun way to learn more about trees. Nonfiction Monday is a blogging celebration of nonfiction books for kids. For more information, stop by Anastasia Suen’s Nonfiction Monday page. This week’s post is at Abby (the) Librarian. I’ve seen this book popping up across the kidlitosphere. I haven’t had the chance to check it out, but it looks like a fun read. Just the excerpt you provided has me itching to get this one.